ARE YOU WORRIED ABOUT A DIVORCE? At the Law Office of Carl Sizemore, we are experienced in resolving a broad range of Family Law legal issues, including divorce, child custody and visitation, relocation and move-aways, spousal and child support, and division of community assets and debts, including pensions and retirement accounts. Filing for divorce in California? If you, your spouse, or your child resides in California, California has jurisdiction over your divorce case. California is a community property state, meaning that all assets and debts acquired during the marriage are equally owned or owed by both spouses. Spousal support, also called alimony, is financial assistance provided by the higher earning spouse to the lower earing spouse to assist the lower earning spouse. In order to ensure that children receive an adequate level of support, California has implemented a Statewide mandatary guideline system. Child Custody and visitation orders in California are based on “the best interests of the children” standard. Custody and visitation disputes tend to be a highly litigated area in Family Law. You are responsible for every aspect of your children’s custody case. Divorce is one of the most stressful situations that a family can go through. You must deal not only with the emotional aspect of your family’s breakdown but also with the legal issues pertaining to your distinct case. In order to ensure that your divorce proceeds as smoothly as possible, what you need is a qualified lawyer specializing in family law to provide legal counsel and represent you at trial. Family law attorney Carl Sizemore is dedicated to helping clients understand their options and become fully prepared for what to expect. Our goal is to help you maintain your dignity and minimize stress by bringing your case to a timely and satisfactory conclusion. We are committed to finding the best solution through negotiation and mediation, and if those efforts fail, we will aggressively defend your rights in family court. We will take the time to understand your needs and best interests in order to plan and execute an effective strategy, from the initial filing through trial or post-judgment requests to modify or enforce a final order. As your family lawyer, we understand that divorce can be complicated and financially draining, and we strive to help you make personal and financial decisions custom-tailored to the specifics of your case. Family law has existed for almost the entire duration of United States history, undergoing numerous adjustments in direct correlation to the changes in the structure of human rights. It takes advanced knowledge and a keen eye for detail to keep up-to-date on the laws for governing domestic relationships while remaining aware of essential case precedents. 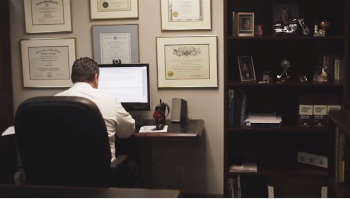 This is where a family law attorney is invaluable. At The Law Offices of Carl Sizemore, your attorney applies years of legal experience and thorough knowledge of family law on behalf of our valued clients – the men and women across San Diego County. We take pride in our ability to guide you through this critical time and help put your life back together. When you need an experienced and certified family lawyer, our office is only one call away at 619-442-2100. Alternately, you can fill out our convenient online form, and we will gladly provide a free initial consultation on the path towards resolving your family law issues. I would HIGHLY recommend Mr. Sizemore, he is the best attorney! I called him about a child custody case two days before I had court and he immediately took the case on and told me to come into his office that very day. When I came into his office he said "congratulations on your attorney" which was so funny and true! He is extremely knowledgeable, helpful, professional, and does not sugarcoat things. Carl will tell you straight up what to expect. He took the stress off me and assured me that it will be ok! I am so grateful for Mr. Sizemore because he truly changed my life by winning my case allowing me to move. The judges know him by name in court (which is always good) and they know he is a tough fighter. Carl will not give up and can be aggressive when needed. His prices are very reasonable and he is always available and quick to respond to phone calls and emails. If you are looking for an attorney look no further you have found the best one! Congratulations on your attorney! I found Carl on Yelp - he had good reviews, so I called him. He was kind, reasonable and gave me good advice, which included settling vs. hiring him. Not too many attorneys would do that. He took the time to listen to me and look over my docs, and I am very grateful. Family law is icky, if you don't want to go it alone, this is a good guy. Thanks Carl! I would definitely recommend hiring this lawyer. In frantically calling multiple law offices so I could obtain a lawyer for an immediate crisis in my divorce case, Carl Seizmore came to my rescue. Amazing man with a big heart. He helped me with my case and even met me at the course house lunch room the same day I called to review and give me advice on my case. All this without asking for a dime and seemed eager and happy to do so for me. Again, amazing man who I will definitely hire to completely cover my divorce case. I have never had a lawyer give me so much attention without asking for a payment. If this man will go out of his way to help a stranger, I can only imagine the incredible work he does for his clients. Carl Sizemore was a saviour to me at a very scary and dark time during my divorce and than a second time for child support. I am a strong smart woman but felt helpless through the process. He was refered to me by a close friend and I will be forever grateful for his guidance, returning my frenzied calls, texts, and messages. He doesnt sugarcoat things and he helped prevent me getting stuck on stuff that was irrelevant. He is certainly unconventional in some ways but if you want to hire a divorce and family attorney than I dont hesitate to recommend him. Carl Sizemore is a top notch family attorney/mediator and friend. Personally, he is a joy to be around - he always has a friendly smile on his face and positive attitude. Professionally, he is very sensitive to his clients or potential clients' needs. He is always courteous, calm, organized and not pushy. I highly recommend Carl to anyone who is in need of a smart family mediator! Carl represented me through child custody issues and move away and divorce. He was highly accessible, explained all aspects of what would happen and patiently guided me through this emotional process. Carl is an excellent attorney who honestly cares about his clients and the welfare of the children involved. He is highly prepared for court and I have not seen anyone who comes close to his speaking skills. I am very grateful that I was referred to Carl and cannot imagine any other choice for attorney in San Diego!